Dilwale stars Varun Shawan, Kriti Sanon, Shah Rukh Khan and Kajol launched the first song of the film, Gerua, in Maratha Mandir, Mumbai. 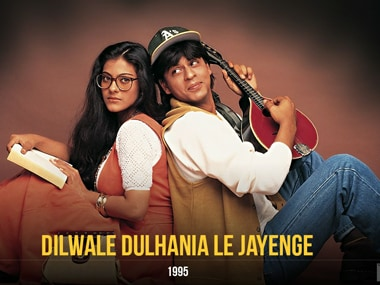 Following the outcry of fans all over the social media, it now seems that Mumbai's Maratha Mandir will continue the daily screening of the iconic Shah Rukh Khan and Kajol starrer Dilwale Dulhaniya Le Jayenge. As Maratha Mandir bids farewell to this cult romance here is a look back at the films most popular and fun dialogues. Her role as a supportive mother in "Dilwale Dulhania Le Jayenge" (DDLJ) carved a special place for Farida Jalal. 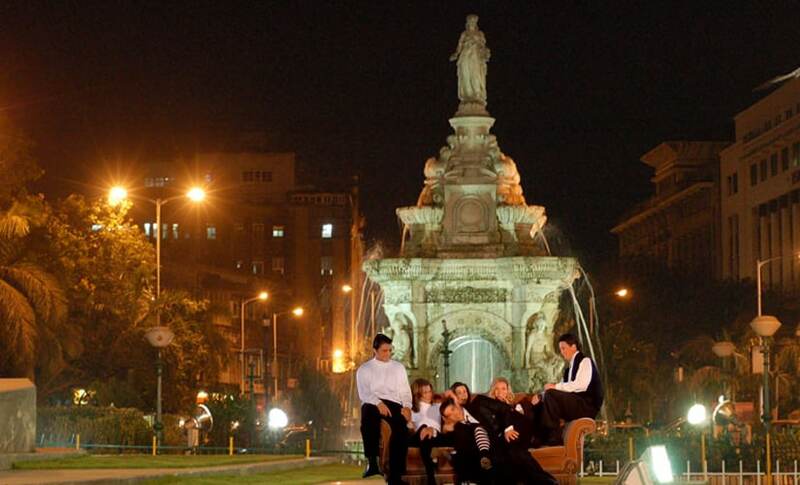 As Maratha Mandir brought down the curtains on DDLJ after 20 years, the veteran actress says the final curtain call is sad but the movie will live in the hearts of people forever. 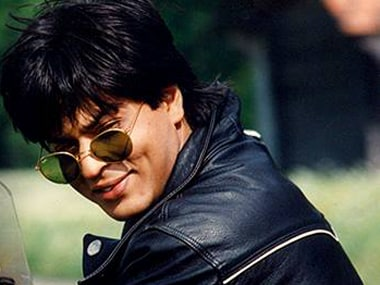 It's sad news for all Dilwale Dulhaniya Le Jayenge fans. After a successful 1009 week run in Mumbai's Maratha Mandir, the iconic Bollywood film was run for the last time on Thursday morning. You can't forget Raj and Simran, can you? 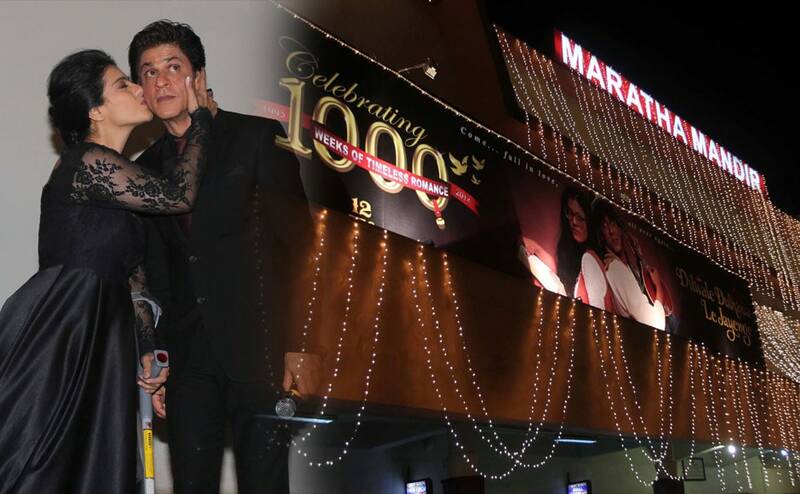 'Dilwale Dulhania Le Jayenge' (DDLJ) completed 1000 weeks since its release in 1995 on Friday and the film's leading star Shah Rukh Khan and Kajol chose to spend the day at Maratha Mandir in Mumbai.